From her early depictions of individual objects, such as a doorknob, a clock, or a stack of plates, to her later works featuring complex interiors, like a balcony, a beautifully lit staircase, or a doorway leading out onto a lush courtyard, American artist Lynn Shaler’s works are distinctive, characterized by a colorful aquatint technique combined with carefully etched lines. Over a forty-year career, she has created more than two hundred aquatint etchings and has been included in major museum collections, including the Metropolitan Museum of Art, the Library of Congress, and the Victoria and Albert Museum in London. Lynn Shaler: Fine Prints 1972–2017 is the first catalog to spotlight this important American artist’s complete body of work. Many of the etchings have been inspired by locations in Paris, where Shaler has lived for more than thirty years. Although her work has evolved considerably in both subject matter and technique, the etchings all attest to a meticulous printing process and feature explosions of wild, hand-colored embellishment with watercolor, gouache, or pastel. The book reproduces nearly all of her works, alongside essays by Diana Stork, master printmaker Kathy Caraccio, New York–based art dealer Alfred González, art critic and scholar Nancy Mowll Mathews, and curator Gérard Sourd, which examine recurring themes and motifs in Shaler’s work, such as architectural details or intimate interior views opening onto an exterior scene. 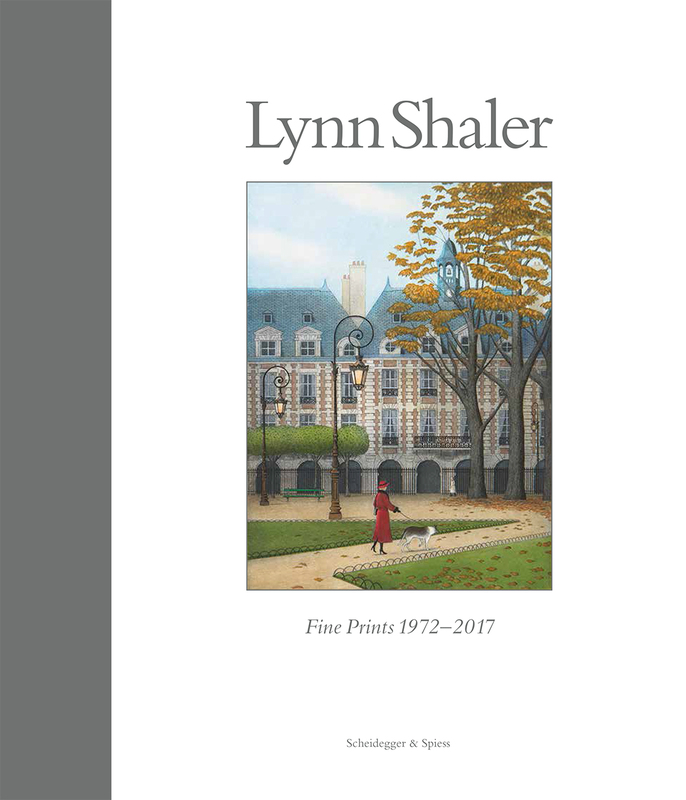 Lavishly produced and illustrated, Lynn Shaler: Fine Prints 1972–2017 offers a long-awaited look at the oeuvre of one of today’s most important American artists.